They help you realize it’s important to hug, kiss and share. Like sharing a child with an infertile person. They teach you the first lesson in forgiveness and forget – one minute you are at each other’s throat, the next minute you are playing together like the two happiest people in the world. Like when as an adult you find out your spouse cheated you and broke the laws but you move on. They teach you the first lesson in teamwork. For example when immigration laws are against IVF children and families, it is important to work as a team to get your rights as individuals from the government. They teach you compassion and love for a fellow human being. Parents give unconditional love to every child ideally, emotions coming from a sibling are special. Like for example, if your spouse is sick and needs care but wants secret, you don’t leave your spouse instead you respect their feelings out of love and compassion and you serve as a silent caregiver despite the abuse unto you. Older siblings get their first lesson of responsibility and care when helping and watching their parents care for little babies. Something an innocent child is missing because of secrecy and lies. They give a sense of a family. After all kids like playing with other kids and not adults all the time. It is upto the parents how to nurture the sibling bond into adulthood. Siblings can have different bonds. A traditional bond between blood sisters or brother-sister or brothers. Then there are “special bonds” between twins or triplets, then there are special bonds of a blended family, then there are special bonds between siblings who are adopted into a family, then there are special bonds between siblings who are born through IVF. It is more about thinking from the perspective of the child than anyone else. Why deny this opportunity of siblings? There is the sibling rivalry – whether it is nurtured into love or hate depends on how parents treat the siblings. Spiteful, Prejudiced, taking sides, selfish parents may not nurture a healthy relationship between siblings and the innocent siblings end up hating each other. They maybe enacting acts out of selfishness without realizing it is hurting a healthy relationship between siblings. Siblings have your back no matter what. If you are an Immigrant, international IVF parent and are unable to be present for your IVF child’s birth, your sibling will rush by the side of your new born IVF baby. You can’t pay someone to do that – thats family. If you are an immigrant, international IVF parent and your IVF child is abandoned but you cannot be there, your sibling will drop everything in their life, their work, their kids school just to be by the side of your new born IVF child AND fight against the abusive IVF clinic for the rights of the child – thats family. Siblings can help you create fraud documentation claiming you as a biological parent even though medically one is infertile – thats family. Siblings can help you lie and steal and keep your secrets – thats family. Siblings can help you break laws and keep your secrets – thats family. Either way whether they rescue your child or rescue you with lies and breaking the laws, it seems like siblings are the ones who rescue you when in need because there are very few other people we can confide in as adults. Then why deny an existing sibling to an innocent child – a sibling he wanted? 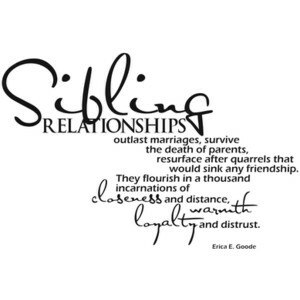 Why deny an opportunity to make a sibling bond? Is this selfless love of a parent or selfish love? It is one thing to divorce but to split up innocent siblings AND place them in legal limbo deliberately takes ABUSE to a whole another level. It is traumatic to be infertile but that does not mean one can go around spreading lies, breaking laws, abusing people, abusing innocent children, violating basic human rights and child rights of innocent children. It is true that infertile immigrants don’t have fertility rights, so stand up and fight for rights rather than abusing others and living as a criminal. Its a far better lesson to teach an innocent child than any “love”. Even when unmarried gay couples split, both parents get practical co-parenting with the innocent children and siblings are NOT split. But if you are an immigrant, intersex IVF family in the 2000s, it is such a terrible crime that not only the child is separated from his biological family but also from his siblings and dehumanized due to lack of legal identity – the price of criminality, secrecy, lies and breaking laws. Even after 60 years, siblings UNITE from North and South Korea showing the love for each other and how governments CANNOT SPLIT siblings. Siblings outlast marriages, siblings outlast divorces, siblings outlast lies IF they are given an opportunity.